It is a known fact that exercise is necessary to maintain our cardiovascular system in good condition. It also contributes to our general health. Depending on your lifestyle and personal taste, you may prefer to walk, run, ride a bicycle, etc. Whatever your preference, one thing is certain; it is critical to exercise daily. In this page, you will find our favorite exercise aides. 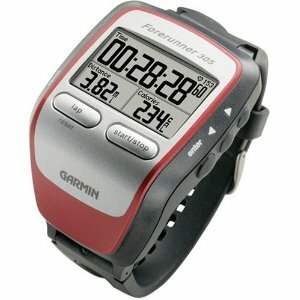 Garmin Forerunner 305 GPS Receiver With Heart Rate Monitor is a watch-like GPS receiver with excellent signal reception. The built in application provides information on speed, distance traveled and pace data. This device can be used for cycling, cross-country sports such as skiing and windsurfing. For more details on this device click on the image. TrekDesk this is a height adjustable workstation that fits over most treadmills. Most users set it to one mile per hour. This makes for a very easy steady pace that can be sustained without even thinking about it. Users of the TrekDesk can type, read, and make phone calls, all while walking at a normal pace. Computers have changed our lives for the better in many ways, but sadly the modern human’s ubiquitous use of the personal computer is directly associated with our rapidly declining physical fitness and health. As a result, today a new generation of inventions and solutions are emerging to marry our computers with our workout routine, so that we can now burn calories AND use our computers simultaneously. These devices are not about an intensive no-holds barred workout, but instead a low-stress long-term approach to keep people moving while using their computers. One of these new inventions, the FitDesk Laptop Exercise bike invented by Nashville cyclist Steve Ferrusi is one of the most complete solutions available at an affordable price. If you can leave the computer behind and get out doors, its important to keep yourself hydrated. The hydrapak is a compact backpack that can be filled with water. This way your hands are free from water bottles. No more bottles dangling from your waste or in your hands. The hydrapak is out of the way and at the same time, close enough for you to drink from as you walk.